Rashtriya Lok Samata Party (RLSP) MLA Basant Kumar Kushwaha died today morning of a heart attack. Chief Minister Nitish Kumar paid tributes to the leader whose body was brought to Patna and kept at party office for last 'darshan'. Kushwaha was admitted in a hospital after he complained of chest pain a few days ago. He died around 4 am today. According to the doctors Kushwaha died of heart attack and that his condition was very critical on Sunday, 29 November. 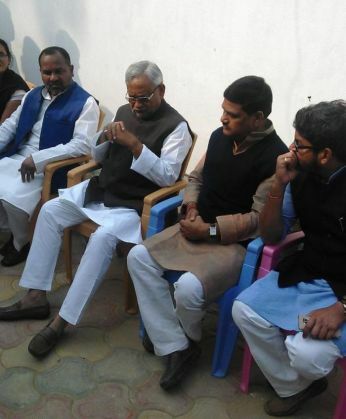 This time in the Bihar assembly elections, RLSP had partnered with National Democratic Alliance (NDA) and had won only two seats of which Kushwaha secured one. Tamasha Box Office: Will Ranbir-Deepika's film score big today? READ NEXT >> Why are streets in Paris lined with shoes ahead of #UNCOP21?